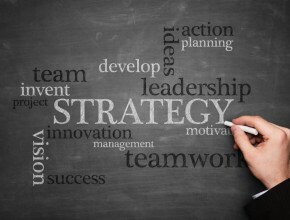 Do you know how to write a strategic plan? Most people don’t. Scores of business school students are produced each year who don’t know how to actually produce a viable plan. As consultants, we constantly encounter businesses- from Mom & Pops to even (yes, I’m serious) $2 Billion dollar-a-year businesses that either don’t know how or don’t have the resources to develop a plan. Because of this, we’ve developed this blog series: How to Write a Strategic Plan. As the first post in our How to Write a Strategic Plan Series, we’re starting with the signs that tell organizations that they need a strategic plan. Believe it or not, there’s actually tons of businesses in 2009 who still don’t take the time to create or maintain actionable strategic plans. Are you stuck in the trenches? Do you feel that you can’t even imagine the next year because you have to first focus on how to survive the next couple months? You need a plan. Sure you want to be the best, but you can’t see how you’ll possibly become that. Unless you get real, you never will get there. If you’re not hitting your revenue goals and you’re not sure what to change to get there, you need a plan. Do people have trouble understanding your brochure? If you ask people, do they say that your messaging is confusing? Get a plan together. Who are your competition? What are they doing? Who are their clients? If you don’t know this, you obviously need a strategic plan. Don’t even argue. If you have three dozen tasks, they all can’t be the most important. Only about 3-5 can, in actuality. Get a plan together so you know what to focus on. We always run into opportunities. If they’re passing you by because you don’t know whether they’re right, or you’re picking opportunities that don’t fit, make a plan- quick! What should you change in order to sell more? If you don’t know, then make a plan- STAT. You should know how to price your product or service. If you’re just looking at the guy next to you, how do you know he knows what he’s doing? Make a plan, Stan. If someone asks you what you’re best at, you should be able to answer immediately. If you don’t kn0w why you’re best, then your potential customers won’t either. If that’s the only reason you’re in business, you need another reason. Your employees aren’t motivated by profit. Your customers won’t be inspired by your profits. Find a reason that inspires passion and put it in your plan.